Are you looking for some extra storage? Maybe you need something for the kids’ bedroom, or a corner in the utility, or even something for your cookery books in the kitchen. 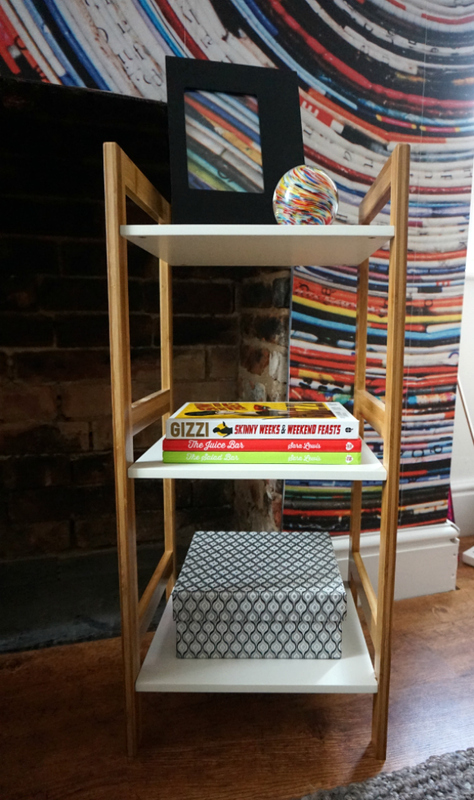 Well, I’ve been sent this very cute little shelving system called Drew by Habitat and it’s just lovely. 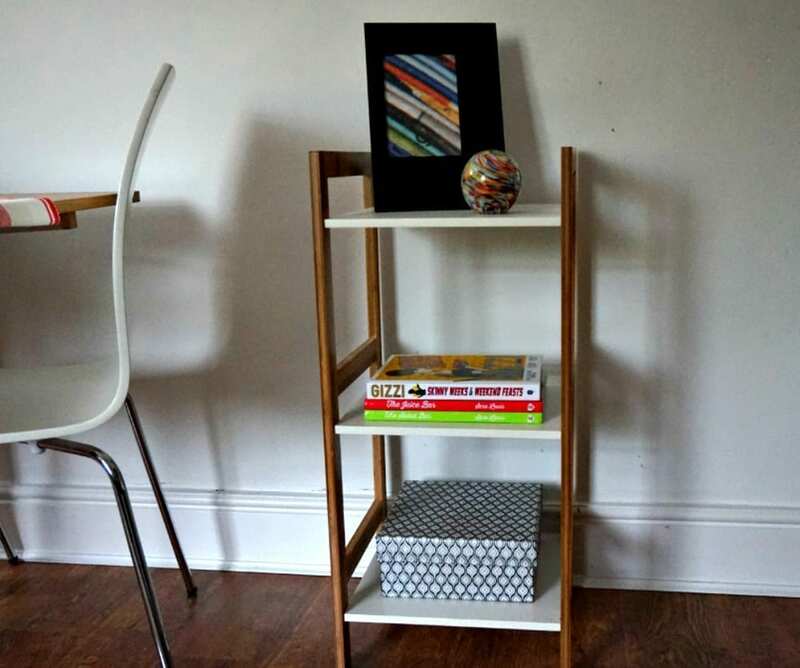 A very simple 3 shelf piece in white, with a natural wood structure, it’s perfect for any spot in the house, and is particularly versatile. I’m using it for a little display in our dining room/ den where we’ve been after some extra storage for a while. The simple styling works well with the rest of my furniture, and I can change around the pieces on there depending on my mood. In time, I’m also thinking this would make a good side table for Miss E’s bedroom and give her more space for storing and displaying her treasures. It’s light and flexible, and very sturdy so I know it will stand the test of time in a child’s room. If you want to think a little differently, you could consider using multiple pieces in a row, for a real statement or even as a room divider in an open plan space. Customise it too if that’s your thing; the simple white design lends itself to a little makeover when you get bored with it. Do you like this shelving system? Do you have a space for it in your home? You can find out more about this product, and more like it in the Habitat Kickstarter Edit – fabulous design pieces at great affordable prices.